Select five applications that you have not heard of before from Popular URL’s Web 2.0 awards or the webware awards and describe on your blog page how they could be useful to a business. The so-called ‘younger brother’ of Google and Yahoo, it is not as nearly as popular. It is unique when compared to Google and Yahoo however, as it has the potential to customize results shown based on various individuals, therefore each person is able to effectively design their own search engine. It also shows the results from other search engines on it’s page, something which widens the variety of results produced from the search. An online design related magazine, it offers articles that are directly related to the industry and sells books at discounted prices. This provides the opportunity for a business to gather a variety of like-minded people and increase the exposure of their organization, as well as obviously increasing the revenue that they are generating for themselves. However, there is also the risk that this website will draw customers away from the organizations website. An accounting organization designed for smaller businesses, it provides an online billing service for the simple transactions occurring between buyer and seller. It has the ability to be integrated into an organizations website, thus maximizing customer convenience and ultimately increasing the customer satisfaction, increasing the likelihood that they will return. Not just another news site, it also offers much more in regards to the classifieds – advertising, social networking, real-estate, just to name a few. Given how popular the website is, the organization would be increasing their exposure and awareness through the use of the classified sections. This is a web browser which was actually developed and designed in 1994 but was obviously competing against some strong competition such as Internet Explorer and Google Chrome. Nowadays, Opera has been redesigned to maximize the internet browsing experience on handheld devices, including mobile phones and portable gaming consoles, and provides the opportunity for businesses to once again increase their exposure and increase the convenience experience by consumers. 1) What does this meant by the following statements? a) Trust is not associative (non-symmetric) – if an individuals trusts another individual, it does not necessarily mean that the other individual trusts them back. That is the level of trust between the individuals may be different – of course it may well be that the levels of trust are the same, however in a business-environment this is very rare. More commonly, the seller will have a higher level of trust that the buyer will provide the money agreed upon, whilst the buyer may have a lower level of trust as they are unsure whether the seller will actually produce the goods or not. b) Trust is not transitive – this relates to the levels of trust between one buyer and seller passing to future buyers or sellers of those particular products. The level of trust will never be the same in future businesses, although it will always remain at a higher level or else the relationship will break down. This level of trust is extremely important for the seller as if they do not maintain a high level of trust with a buyer, they are at risk of losing their buyer to a competing seller. c) Trust is always between exactly 2 parties – a lot of the time it is just focused between 2 parties -a buyer and a seller. However, when retailers, suppliers, and other various outlets become involved in this process, the level of trust relates just as much to these as it does to the buyer and the seller. d) Trust will involve either direct trust or recommender trust – direct trust involves the trust between 2 parties and is based on the outlook of the transaction at hand – pretty simply one party trusts the other party. On the other hand, recommender trust involves a third party where trust is established between 2 parties, and then one of those parties recommends the trust of a third party. 2a) Have a look at the following websites. What are some of the elements that have been incorporated to increase your trust in the sites? If there are also some aspects which decrease your level of trust describe them as well. Having to be a registered user in order to sell or purchase goods. High quality design and layout of the website. Use of PayPal – safe and secure method to conduct transactions, as well as the PayPal Buyer Protection – full refund of an item if it does not arrive or does not match the description provided by the seller. Provision of a returns policy. One negative about the use of eBay would have to be the constant threat of hackers – most recently when user information was stolen by hackers – obviously decreases trust quite dramatically. Similar to eBay, has a very high quality layout and design – appealing to the eye. Contains secure encryption methods – reduces the risk of fraud. Clear definition of what information is available to the public (new accounts, rates info, contact information etc.) and members only – requires comprehensive signing in. A negative about ANZ, similar to eBay, is the ever-apparent threat of hackers on the internet. Although there are many security methods in place to avoid this from happening, there is still always the chance that someone may get in. Particularly when it is bank details that it is dealing with, individuals are placing a lot of confidence in the hands of ANZ to ensure that their details remain confidential. 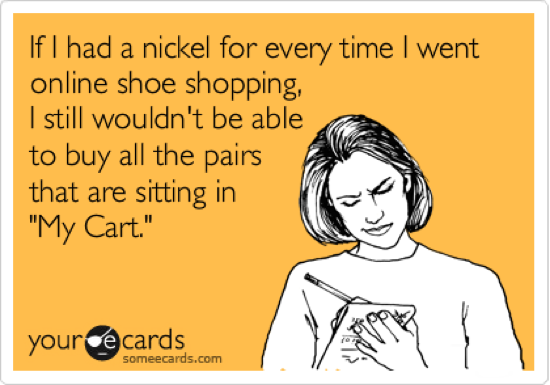 Use of a shopping cart – individuals are able to see what they have purchased and ensure that they are not getting ‘ripped off’ with prices as such. Customer Certified badge at the bottom of their homepage instills confidence in users. Provision of a privacy and security page. PayPal again provided as a payment option. Contact details if you have any further questions. The only real risk associated with this website is that they are based overseas, the United States of America to be specific, so items must be shipped – incurring more costs to the buyer. Inspires trust in individuals by actively showing them how to reduce the threat of fraud. Continued relationship with eBay extremely successful and beneficial to both parties. Comprehensive sign up procedure worth the secure transactions later on. 2b) Find a web site yourself that you think looks untrustworthy. This week is all about Channel Conflict, which occurs when 2 different channels are competing against each other for the same sale with the same brand. This can occur when manufacturers sell their products directly to their consumers without using distributors or retailers etc. It also includes those organizations which sell their products on their websites online. Question 1. As millions of consumers flock online to purchase just about anything and everything — new and used, large and small, cheap and expensive, from near and afar — how will the interaction between buyers and sellers change? Buyers have a lot of control in this relationship as they have the ability to search the internet for various products and compare attributes such as the quality, price, ratings, delivery price etc before they make their purchase. There is also a lot of information on the internet available now to buyers, therefore they are able to research various products and make education decisions on purchases based on this knowledge. The rating of the seller will also heavily influence the final decision made by the buyer, with a negative rating associated with the seller increasing the likelihood that the buyer will look for the product elsewhere. Sellers have the ability to list a wide variety of products and services for buyers, however they need to make their products stand out from the many others listed on the internet. They will also need to ensure that their prices remain competitive to ensure that they are attractive to buyers, however must also be careful not to make them too low that they will be losing rather than making money. Within the relationship between the buyer and the seller, I believe that the buyer will have more power in that if they are not happy with the products or services offered they can look for other sellers. Question 2. If you purchase something from a retail outlet is it then ok for you to get email promotions or is it SPAM? Personally I don’t agree with this, as it should be up to the consumer to sign up for email promotions rather than the retail outlet. Nowadays, a lot of retail outlets provide the option of subscribing/unsubscribing to their electronic promotions, and I know that a lot of people do not choose to receive these email notifications due to the high frequency that they are sent and how annoying they can become. As long as the individual has actually subscribed to receive the email promotions, I don’t think that it can be classified as SPAM as it was the users choice. However, if the retail outlet automatically sends you email promotions after you have made a purchase, I believe that can be classified as SPAM. Question 3. Should you buy key words to protect your brand? I believe that as a business or organization grows, it becomes more important to develop and promote a key word (or words) that represent your brand. The brand is a valuable representation of the organization and is something that is worth the investment in order to protect anybody else using it. Many of the large successful global organizations have protected their brands to ensure that they are the only ones able to use it, for example Nike, McDonalds and Coca-Cola. Many of these global organizations are constantly in legal battles with smaller companies who have to some extent used their brand in a way which is deemed inappropriate by the organization. Question 4. See the discussion forum (in week 9) and comment on the Microsoft article profiled there. Discuss the case on your blog in terms of channel conflict. 12 months on after the release of Windows 8, is it still an issue? Microsoft saw an opportunity to compete against the likes of Google and Apple through designing a ‘Surface’ tablet, in which they had the right to do so. It would be ridiculous for a large organization such as Microsoft to not attempt to design products in a market which they are currently not competing in and providing further opportunities for growth and development. Another reason why Microsoft may have developed this product is because they lack in branded products. Although they provide operating systems and software for many other brand, such as Acer and Dell, they do not have many products which are Microsoft branded and that can be sold physically in store or online. I believe that one of the key reasons that Acer criticized Microsoft for their decision to design the Surface tablet was because they were threatened as it would directly compete with some of their products. For many years beforehand, Acer had relied on Microsoft to develop and maintain the operations systems that would go on their computers, however when Microsoft introduced the Surface Tablet, it would obviously be in competition with the Acer products. 12 months on, I don’t believe that it is too much of an issue as it ensures that there is healthy competition within the industry. Without channel conflict occurring, product prices would begin to rise as the number of options available to consumers becomes gradually less and less. Through channel conflict, it ensures that prices remain competitive and low within the industry, with each organization striving to make themselves more attractive to the buyer than the other. Click here for more information regarding Acer’s response to the Microsoft Surface tablet. Question 1: eBay is one of the only major Internet “pure plays” to consistently make a profit from its inception. What is eBay’s business model? Why has it been so successful? eBay’s business model takes the form of a Brokerage Model, more specifically an auction broker as it provides a platform for auctions for sellers whilst charging a listing fee and a form of commission which is relative to the transaction occurring (Rappa, 2005). eBay acts as an intermediary between the seller and the consumer, allowing for various transactions to take place. Similarly, it involves a supplier-to-consumer model, where it acts as the ‘middle man’ as such between the supplier and consumer. I believe that eBay has been so successful due to the unmatched diversity that it offers, with millions of different items being available to browse and purchase at any given time on any given day and over 128 million users across the world. The user interface within the website, both on a computer and a mobile device, is also extremely simple and easy to use, as well as the the integration of PayPal within the website ensuring transactions between buyer and seller are safe and secure. Question 2: Other major web sites, like Amazon.com and Yahoo!, have entered the auction marketplace with far less success than eBay. Howhas eBay been able to maintain its dominant position? eBay has been able to ensure that they have remained successful even when competitors are entering the marketplace as it is constantly improving and upgrading. Compared to other major websites e.g. Amazon.com, eBay does not hold it’s own stock, therefore does not have to deal with transportation and shipping fees. This therefore means that they are able to constantly charge a minimal commission fee on transactions through the website, as well as saving money on other areas such as storage, packaging and various other overhead costs. The ever growing number of users that eBay consists of also ensures that the organization is continually growing and developing in that regard. Question 3: What method does eBay use to reduce the potential for fraud among traders on its site? What kinds of fraud, if any, are eBay users most susceptible? The major method implemented by eBay to reduce fraud within the organization is the use of the feedback system, which is produced by the buyer in regards to the overall performance of the seller. After every transaction which occurs on the website, eBay provides the opportunity for feedback to be given which will be available to be viewed by the public, with a negative rating appearing on the offending users page. The feedback about a particular seller can heavily influence whether or not an individual purchases from them, as obviously if an individual has a negative rating then they will likely look for other sellers. Through eBay encouraging all users to feel like members of the eBay ‘community’, it enhances the cohesion within the overall group and trust of other users feedback. 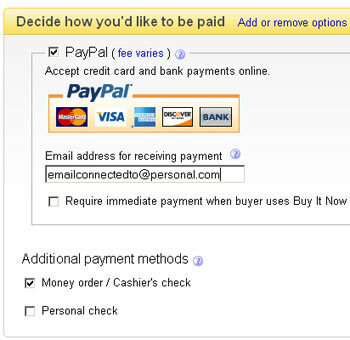 eBay also ensure that PayPal is available as a transaction method for all transactions on the website, ensuring that transactions are secure and removes the need for the transferal of personal details such as addresses and bank details between the buyer and the seller. Other frauds which the buyers are susceptible to are when the seller does not physically send off the package, or when items are damaged or different to those which were initially purchased. Question 4: eBay makes every effort to conceptualize its users as a community (as opposed to, say “customers” or “clients”). What is the purpose of this conceptual twist and does eBay gain something by doing it? Through the promotion of a community within eBay, it ensures that it develops a culture within the organization where individuals, whether they are buyers or sellers, are able to work together in a mutualistic relationship. This is obviously important in an organization which is extremely dependent on their users and the relationships between them, as well as the limited ability of the organization to provide assured guarantees for products sold over their website. Users will also be attracted to the website ‘community’ ensuring that the consumer numbers continue to grow now and into the future. It is also part of human nature to want to be involved and belong in a group or community, so this also plays a vital role in maintaining and developing overall numbers. Question 5: eBay has long been a marketplace for used goods and collectibles. Today, it is increasingly a place where major businesses come to auction their wares. Why would a brand name vendor set-up shop on eBay? One incentive for major businesses to utilize eBay as a service is due to the increased usage of online shopping in the modern world, rather than physical shops which may have been used previously. It also provides another means of reaching out to consumers, and potentially they may be exposing themselves to a new marketplace. This can also include exposure to a wider geographical scope than previously, not only within the same country but globally. The convenience of being able to browse and purchase products at any given time from any given location is also an attractive feature on the consumers behalf and is something which the major businesses would be encouraging. Question 6. I have a few businesses, and I have used eBay for about 12 years on and off. Currently I have about 600 books listed on eBay (seller name ozrural). I stopped selling on eBay for a few years but they changed the rules this July and it is viable again (for me). What do you think changed? In July 2010, eBay changed the rules in regards to the fixed price of books being listed through its website. Due to the decreased demand of paperback books in society nowadays, eBay lowered the price of the listing fees for each book, provided a free gallery to display items and set the final value fee as 9.9% (eBay, 2011). Question 2: Write a one paragraph describing the Turing test and another paragraph describing an argument against the Turing Test, known as the about the Chinese room. The Turing Test determines the intelligence of a computer, more specifically whether or not it is capable to think like a human being. Conducted in 1950 by British mathematician Alex Turing, it involves the comparison of responses from a human being, of either gender, and a machine. A ‘judge’ is appointed to the test, and if they are unable to distinguish which response is from the computer and which is from the human being, the machine is said to have passed the test. It is also important to note that the correctness of the response is not important; it is more the similitude of the responses between the two. Searle imagined himself inside a room, responding to pages of Chinese characters, a language of which he has no understanding of at all. Upon receiving a Chinese character, Searle follows a program that manipulates Chinese characters and produces written responses which leads those on the outside to believe that there is a Chinese speaker inside the room. This ultimately highlighted the idea of computers being able to appear as if they are capable of understanding at a level of a human being, however do not actually produce real understanding. Short YouTube clip about the Chinese Room Experiment. 3) Can virtual agents succeed in delivering high-quality customer service over the Web? Think of examples which support or disprove the question or just offer an opinion based on your personal experience. Write you answer on your blog page or express an opinion on this voice discussion board (it’s simple to join). I believe that definitely in the future there is a place for virtual agents to deliver high-quality customer service over the internet. Certainly with technology improving at an extraordinary rate, there must be potential for these virtual agents. Obviously a lengthy testing process would be required to ensure that it actually works and there are no bugs present within it, especially if it is working within an organization that would require the transfer of personal details such as for a bank. Conversely, a lot of people find it difficult to get their point across to other people using a computer or other communication device, so naturally it will be even more difficult to converse with a virtual agent, especially if you are unable to use full sentences and are required to just use key words. One frustrating example of this is whilst on the phone to the bank. Although there has been an increased emergence of recorded voice prompts, I still find them difficult to work with as they rely a lot on the key words rather than the sentence as a whole. It is quite tiresome when you find yourself repeating the same thing over and over again to these machines, and I often find myself just wanting to talk to another human being. I believe that if they are going to play a role in customer service over the web, the technology first needs to develop in order to increase their ‘understanding’ so that they are able to understand full sentences rather than just key phrases. 1a) What experiences have you had with shopping online? A majority of my online shopping has resulted in a good experience. Generally the only issues I have had with online shopping are regarding the sizing of clothes that I have purchased. b) Describe a good experience. Recently I purchased some shoes off the Stringer Sports website. I knew exactly what shoe size I needed so that removed the risk of ordering the wrong size shoes. They only took 2 days to deliver them, which I was impressed with as I have heard people waiting up to a week to receive their goods. c) What did you like about the online store you used? They have a large range of shoes available to choose from, including those shoes which are new to the market. The user interface of the website is very simple and easy to use, presenting all the necessary information about the shoes. Also allows you to pay via PayPal which I prefer as it is much safer than providing Credit Card details directly to the online store. You can view the Stringer Sports Website here for yourself. d) Describe a bad experience. When I am buying clothes online, generally I am good at judging the size that I need. However, on one occasion I ordered a size larger than I required. Although the online store was happy to exchange it for the smaller size, it was just a hassle to package it up and send it back to the store, as well as taking over 2 weeks to complete the whole process. e) What problems did you have with the online store? In this particular instance, the online store did not provide measurements correlating to each size, therefore I had to make a judgement based on what I normally wear, which turned out to be different to their size. However, I had no difficulties when I was contacting the online store to return and exchange it for a smaller size. f) What features make an online store more appealing? I think the most important feature that online shopping has is that you are able to shop when you want, wherever you want, 24/7. Instead of having to physically go into the store, consumers are able to browse the online shop with ease, searching for particular things, and can purchase items with just a click of a button. Similarly, these items are then delivered right to your doorstep, removing the need to physically go into the shop at all. g) What features make an online store less appealing? One issue, especially with clothes is the complicated nature of some sizing charts provided by websites. They often provide too detailed sizing charts, overcomplicating the simple measurements and leaving the consumer confused. A lot of people are still wary of entering their personal details over the internet too, especially with the very real threat of identity theft nowadays. h) Should we expect to see the prices of goods and services rise or fall due to the migration of consumers online? I believe that with the increased usage of online shopping, the price of goods and services will stay at a fairly constant level. However, there is the potential that in the future prices will increase as the number of physical shops decrease, especially for specialized products. Communications infrastructure – will increase due to the increase in demand. Structured environment – in the short term may decrease to promote growth of online shopping, however in the future will ultimately increase to the decreasing demand. Transaction mechanism – increase due to the increasing number of transactions occurring. Delivery – actual costs may decrease over time to promote online shopping further, however other costs may drive the price up, such as the increasing cost of fuel. 2a) The dispersion of prices (that is, the spread between the lowest and highest price for a particular product) will narrow – I believe this is true as online stores recognize the important of presenting a price which is attractive to the consumer, whilst also maintaining a competitive advantage over competitor products. Especially as brand awareness grows over time, I believe that price dispersion will be minimal. b) The importance of brand names will decrease – I believe that the brand names will remain important to the consumer, with those products that are from a well-known and trusted brand more likely to be purchased over ones which are from an unknown brand. c) Price competition will make all products cheaper – Ultimately over time I believe that price competition will lower the price of products as brands and organizations aim to achieve a competitive edge over rivals. The more suppliers that produce the same product, the more likely that the price will become cheaper over time due to competition between the suppliers. d) Digital markets will become dominated by a handful of mega-sites, like Amazon.com – There is definitely the potential for mega-sites such as Amazon.com to dominate the digital market, however the use of search engines such as Google allows for specific products to be found from specific brands on different sites. There has been a rise in the number of smaller websites which provide products at a cheaper price to that of the mega-sites, however they ‘unknown’ aspect of these websites e.g. delivery success can mean that consumers may be more likely to purchase products off mega-sites even if they are a little bit more expensive as they know and trust the site. e) How do you think the balance of power between buyer’s and seller’s will change? Buyers will definitely control the power in the future over sellers. Through a simple search on Google, they are able to find the cheapest price for the product they are looking for, or they will keep looking until they find the price that they want. Sellers will always be working hard to ensure that their prices remain attractive to the consumer, especially over competitor products. f) Prices are clustered online – Although electronic trading will have some effect on the price clustering of the products, the major factor for pricing of products will always be the quality and the supply/demand of the product. g) Online prices are elastic (i.e. immune to change up and down with demand) – I agree, as price elasticity represents the relationship between the demand and supply. No matter how many people are shopping online, both now and in the future, there are always going to be differences between the supply and demand within an online store that leads to the fluctuation of product prices. h) Online prices are generally transparent (the extent to which prices for a given product or service are known by buyers in the marketplace.) – To an extent yes, however there are also some hidden costs that first-time users are unaware of such as the shipping and delivery service feeds. These can range from minimal costs up to the larger amounts, especially when goods are purchased from an overseas online shop. However, these are generally always provided to the consumer, with 24/7 access allowing anyone to look up the prices. 3a) What types of m-commerce services does your cell phone provider offer? I am currently with Telstra, and as part of this I receive games, movies and other entertainment, content and products, mobile banking and many other m-commerce services. b) Which of these services do you use? Mostly I use the mobile banking services due to its convenience, as well as the entertainment and movie services. c) What types of transactions do you perform through your cell phone or other wireless device? A majority of the money that I spend through my cellphone is on the App Store and the iTunes Store, as well as the mobile banking apps which I have. d) What types of transactions would you like to perform, but are currently unable to? One big transaction that I believe has a future on mobile devices is the use of EFTPOS, it would make it much easier to purchase products on mobile devices rather than having to enter personal and bank details through a mobile phone, which with a smaller keyboard can lead to mistakes. e) What is your opinion of wireless advertising/mobile marketing? Obviously nowadays advertising has become significant and is now accepted in our everyday life, however I feel that the consumer should be able to control the advertising that they are subject to. 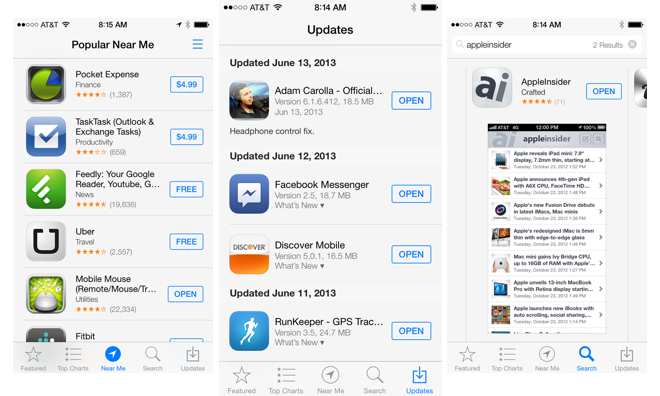 Similarly, the magnitude of advertising in some of the free applications from the App Store is overwhelming, which for some people can result in them purchasing the paid version of the App just to avoid the advertisements. These questions are all based around the Global Information Technology Report conducted by the INSEAD, which involves Soumitra Dutta, a Professor of Business as well as co-author of the report discussing the major findings. The video is directly related to the 2009-2010 report, however the questions below are regarding the 2012 report. 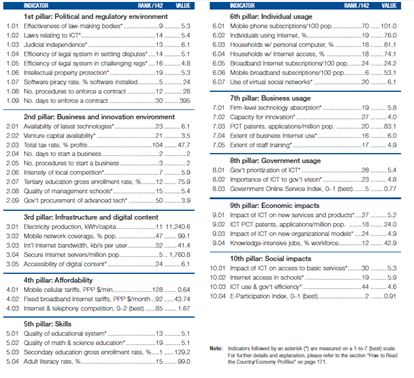 You can also view a PDF copy of the report here. What is the Mobile phone use /100 population – compare Australia, USA, China and India. Australia’s mobile phone usage is ranked as 70th in the world, with 101.0 mobile telephone subscriptions per 100 people. This is much higher than that of the United States of America (89.9/100) which is 88th in the rankings. Australia is also significantly higher than China ,which is ranked 113th with 64.0 mobile phone subscriptions per 100 people, as well as India, with 61.4 users/100 people placing them 117th in the rankings. Through detailed analysis of Australia’s country/economy profile (page 179), it was found that Australia is ranked number 1 in the world for Secondary Enrollment Rates with 129.2% corresponding to the ratio between the total secondary enrollments (regardless of age) and the population of the age group officially corresponding to secondary education levels. Australia was also ranked 2nd in the number of days to start a business (2 days) and the E-participation index (0.91), which provides an assessment on the quality, usefulness, and willingness of government websites for providing online information. The major weakness for Australia is the Mobile cellular tariffs within the Affordability where we rank 128 out of the 142 countries with 0.64, which represents the average per/minute cost of cellular calls. Australia also ranks poorly in the 2 other categories within Affordability, ranked 92nd for Fixed broadband internet tariffs and 85th for Internet and telephony sectors competition index. The other weakness of note is the total tax rate where we rank 104th with 47.7. What does the survey suggest to you about the Information Technology readiness of Australian business compared to Australian consumers? From the data collected in this report, it shows that of the 74.1% of houses within Australia contain a computer that has access to the internet. Similarly. it was found that 6 out of 7 businesses utilize the internet for their business activities. I feel that both these statistics indicate that Australia is Information Technology ready, in both a household and business sense. However, the one barrier that I think is preventing internet usage from increasing in Australia is the high costs of internet and broadband in the country, with Australia being ranked as 92nd in the world for Fixed broadband internet tariffs, paying on average $43.74 per month. I feel that this figure is too high, especially when compared to other countries such as New Zealand (ranked 16th with $18.66/month) and the United States of America (ranked 23rd with $19.95/month). 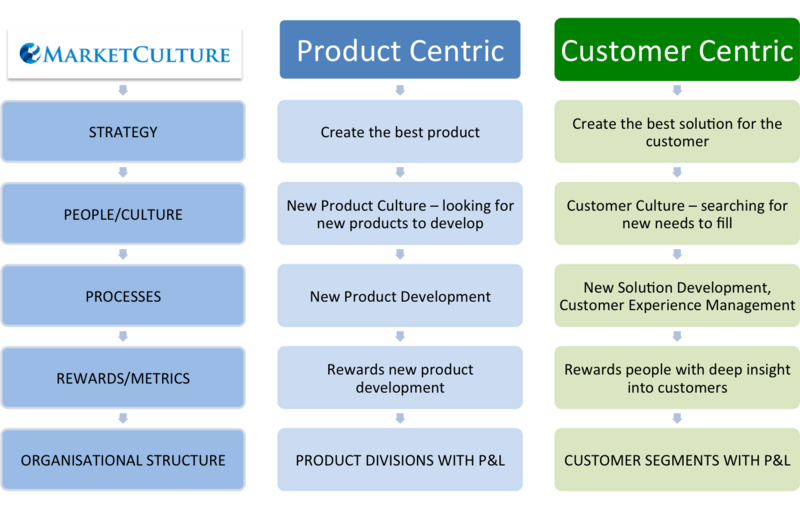 Customer centric websites are those which are created based on the wants and needs of the consumer. This is generally done through the creator putting themselves in the shoes of the consumer to modify their website so that it contains all the necessary and relevant information, whilst also maximizing user-friendliness. The ideal website would be one which looks professional and satisfies the wants and needs of consumers by providing them with the information that they are looking for. Often businesses do not allocate a lot of resources, be it money or time, towards their website and digital design. This can lead to scrappy, unprofessional websites which can generate a negative first impression with consumers. Conversely, some organizations can over allocate resources, therefore leading to over-the-top designs. With the increased emphasis on websites and online shopping, there has been further focus on the visual design of a website, which although can attract consumers can also make them less functional. An example of a poor website is http://www.theworldsworstwebsiteever.com/. 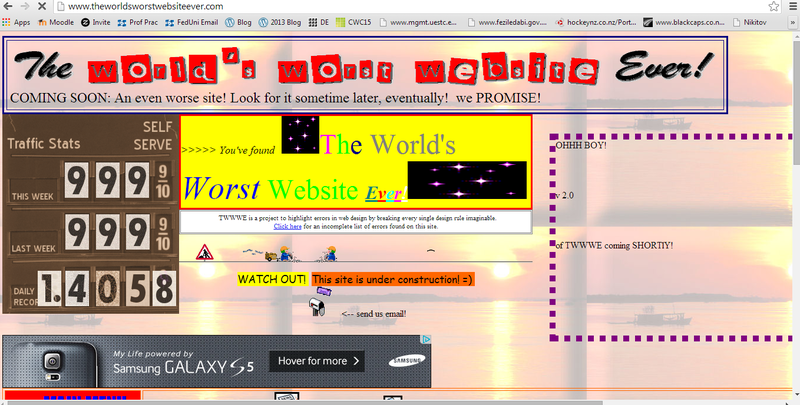 This is a list of the 10 worst websites ever, a majority of which emphasised their visual appeal of the website rather than the functionality http://www.sickchirpse.com/10-of-the-worst-websites-ever/. Date Accessed: 29 March, 2014. Question 2: Presence can be defined as the collective existence of an individual or company online, as well as the total of all external references to that collective existence. Nowadays, there is an increasing shift online for consumers, with many opting to purchase goods online rather than physically going into the store. With this increase in the use of online methods to purchase goods, businesses should also be increasing the amount of time and money that they spend on their online presence. Additionally, consumers have access 24 hours a day, 7 days a week to websites and other forms of online presence, rather than the limited hours that physical firms are open for. 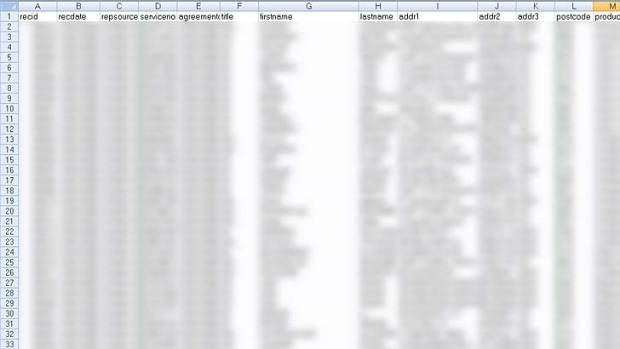 1) Telstra was involved in a security breach which occurred between February 2012 and May 2013. It involved a leakage of private details for almost 16,000 of its customers. In March 2014, Telstra was found guilty of breaching the privacy act by exposing data online through inadequate protection of the information. The breach was so simple in that all that was required was a simple Google search to search for private customer data, such as names, addresses and phone numbers. Telstra responded with a prompt investigation as to how this information was being leaked, as well as contacting affected customers to inform them of the situation. Telstra has had other privacy breaches in the past which were becoming associated with the organization, so much so that David Thodey, Telstra CEO, sent a company-wide email in July 2012 stating that these breaches were affecting the reputation of the organization and that it “must not happen again”. Date Accessed: 23 March 2014. 2a) What AmI technologies are identified in the case? b)What drives DMC’s officers to take the actions they took? The organizations hold trust in the DMC officers to keep the data safe, secure and accurate. They also want to be seen with a good reputation in the eyes of other organizations. If information is leaked or released, it would harm the relationships that DMC has with all of its clients and ultimately be detrimental to the DMC organization. c) DMC is the clear market leader in the aggregation of AmI data. Are there any comparisons you can make to technology companies today? Google would be similar to the AmI organization in the amount of information that is processed on a daily, weekly, monthly, yearly process etc. Everybody has access to Google, as well as various different add-ons such as Google Earth, Google Plus+ and many others. The consumer trusts that the organization will restrict access of private and confidential details. d) How realistic is the description of governments using the technology and prohibiting immigration from states with no AmI data aggregation information? I feel that although they have made this threat, they will not follow up and enforce it. Considering the large number of people that immigrate from countries that do not have access to AmI networks, and are unlikely to acquire it in the near future, it will not be a viable option. As is mentioned in the article, there is also the debate of who will control the data once it the AmI network has been established. Some countries will be very reluctant to hand over the control to the AmI organization, others will not want AmI to be involved in their data control at all. Not only this, some would also view it as discrimination against those in nations without access to an AmI Network. e) What would be the impact of this digital divide? It could lead to various countries disagreeing on the right options, not only for their respective nations but also globally as a whole. f) List some of the ‘unintended consequences’ described in the case. – Being sued by consumer activist groups for negligence. – Bailed out of bankruptcy. – Detrimental to the public image of the organization. i) The size of the databases available – in early years there was very limited information out there, but nowadays it has become much easier for people to collect, analyse and post information out there for everybody to see. Although this provides us with a broader selection of results, it can also lead to information that is incorrect or misleading due to the misinterpretation of an individual about information. ii) Search engines act as a point of entry for users, through the means of searching for key words or terms and then providing URL’s for further information. Only a small number of people have a real idea of how to correctly search for, and interpret, information and how to achieve the best results. This involves things such as refining your search results to see exactly what results and links you want whilst eliminating the need of scrolling through pages of unnecessary information to reach the page you require. iii) The use of an algorithm to sort through results. For example, when an individual searches a term or word in Google, the results are a combination of results determined through a sort of algorithm which ranks results based on their ‘usefulness’ in relation to the word/term that has been searched and how appropriate the result is compared to the millions of other results. iv) Further to this, Rappa queries how a search engine ranks these millions of results, and what kind of algorithm or rank order is used to determine which results are ranked higher than others and why. (Rappa, 2005). Google Algorithms – See here for more information about how algorithms work, in particular the ones used by Google. Michael Rappa. (2005). Managing the Digital Enterprise. Retrieved on 10 March 2014 from the Digital Website – http://digitalenterprise.org/transcripts/navigation_tr.html. Part 1b) When Marissa Mayer says ‘search is in it’s infancy’, it is quite daunting thinking how much we already have at our fingertips is only going to increase and expand further and further in the future. Gone are the days of having to wait what seemed like a lifetime to connect to dial-up internet, open up internet explorer and search for things, nowadays everything is just a push of a button away, considering how much time we spend on our phones and on the internet. Through my previous experiences with search engines, sometimes I am frustrated as I expect the results that I want straight away, however other times I am in awe of how quickly and efficiently it works. If I was to become more knowledgeable on search terms and how to refine searches and make it more specific I would not have to go through the ordeal of scrolling through irrelevant links to find the one that I wanted. i) The Near Web – when you are sitting and looking at a screen e.g. laptop, desktop computer. ii) The Far Web – when you are sitting back a distance away from a screen and using a remote control for example when you are watching television. iii) The Here Web – internet that is always with you e.g. phones, tablet computers etc. iv) The Weird Web – voice recognition e.g. car audio systems, Siri on iPhones etc. v) B2B: Business-to-Business – business machines talking to other business machines without any physical human talking, no consumer interface whatsoever. vi) D2D: Device-to-Device – internet of sensors displayed in meshes of network. The Six Webs, 10 Years On – This video from the Massachusetts Institute of Technology explains the Six Webs in further detail and assesses how they have changed 10 years on. Part 2b) Without a doubt there could be and will be more webs in the future. As Marissa said, ‘Nothing’s impossible’. Part 2c) For businesses, it provides another section of growth and reaching consumers in different ways. If a business wants to be successful in both the short and long term, it needs to ensure that it’s technology remains up to date, even advanced if it is to be competitive. Consumers will be attracted towards those with the fastest and newest technology and will likely choose that over a competitor whose technology is not as advanced.